I took a long break from What I shed today, from sometime in 2015 till now. I thought I had good reasons for allocating the time and attention that blogging takes to other priorities, but I frequently revisited the decision, especially when I happened on something I obviously needed to let go of that would have made a good subject for a shed and post. Occasionally I did write up an entry. More often I just disposed of the item unremarked. But sometimes I saved it against the day I would recommit to this project. Like these scraps of cloth, which I found in the bottom of a drawer sometime last summer. They belonged to my latest beloved pair of REI Sahara convertible pants. 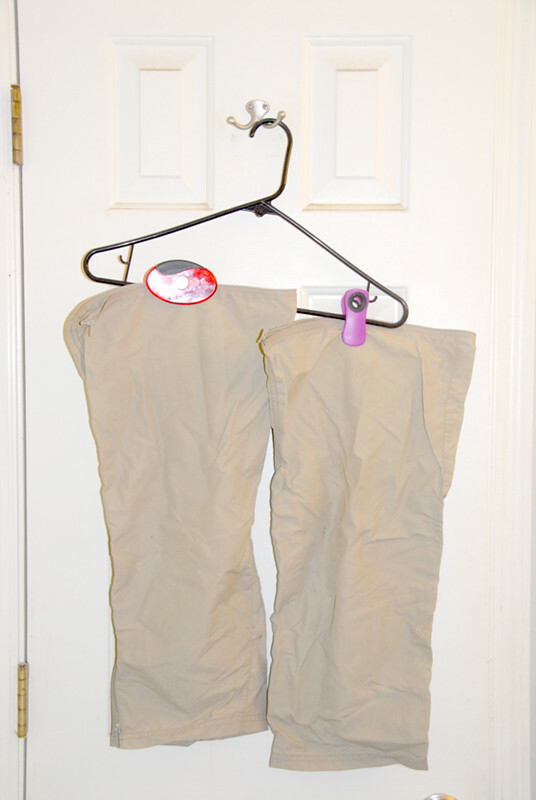 Convertible pants are a boon to those of us who love outdoors pursuits and like to travel light. The legs zip off so they can be turned into shorts as the day or one’s exertions warms the wearer. The Saharas are a lightweight nylon that pack down to a small wad, can be hand-washed in a sink and hung to dry overnight, and have more pockets than perhaps should be allowed. I’ve worn them on rambles, to pubs, on trains, and in cathedrals without feeling too self-conscious. And, in 20 years of buying them, I’ve worn three pairs out. The nylon in their seats eventually kind of evaporates. At least, I think that’s what’s happening. I’m not complaining, understand. They don’t turn transparent until I’ve donned them hundreds of times. It was silly, really, for someone who’s trying to have in his house only what he believes to be beautiful or knows to be useful. And KonMari (she of The Life-Changing Magic of Tidying Up) has something to say to that. I have something to say in return. I’ll take up that conversation tomorrow. It’s a shame they don’t sell the components separately, so you could buy new shorts and keep using the old legs. Modular design! A good principle, more often than not.